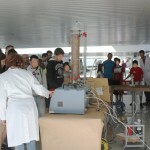 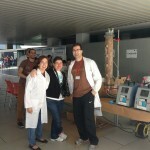 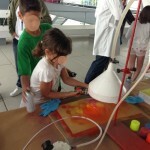 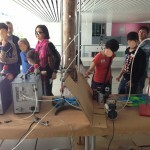 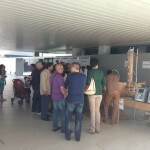 The Scientific Park of the Universitat de València organized on Saturday 25th of May the fifth event of the Expocència , in which many science and technology activities were disseminated to the citizens. 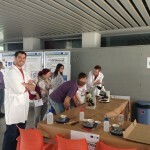 The chemical engineering department of the Escola Tècnica Superior d’Enginyeria was also present with the GI2AM research group. 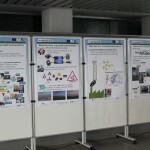 The general public was able to know and experience the work the researches perform in the Next Air Biotreat project, since some posters and a bioreactor was set up to let them see and try out how biotechnologies can be used to clean industrial air emissions. 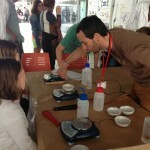 Many people reached the Next Air Biotreat stand, including families with their kids.